Your smartphone might’ve replaced everything from the humble calculator and calendar to the digital camera and MP3 player, but you still need the odd accessory to get the most out of it. Check out our list of must-haves below. High-end smartphones are worth upwards of £500, so it’s important that you shield them against damage. Repairing cracked screens is expensive, and scratches and scuffs ruin the appearance of your handset, reducing its resale value. It’s a good idea to buy your smartphone case direct from the manufacturer, as it’s more likely to hold it snugly and leave spaces for connectors and camera lenses. You can browse the range of Nokia cases here, HTC cases here, Samsung cases here, and Apple-approved iPhone cases here. Most smartphones come with a pair of earphones, but they’re not always of the highest quality. If you want to make the most of watching movies, listening to music and playing games on your device, purchasing some new earphones might be a good idea. John Lewis has a wide range of premium headphones, and includes a minimum two-year guarantee with every purchase. Take a look at the reviews as well as the specifications to ensure you invest wisely — Bose tends to be one of the top brands. For similar reasons, a speaker dock is a must-have. Smartphone speakers can’t produce high volumes and tend to compromise quality. Get your hands on a Bluetooth dock so you can enjoy quality sound wirelessly. There’s one for every budget available at Amazon. One of the few downsides to owning a smartphone rather than an old-school handset is the reduced battery time. All those apps, a high-resolution screen and impressive processors are power hungry, so you can often find yourself low on juice. For those occasions you need to charge while on the go, a power pack is a necessity. 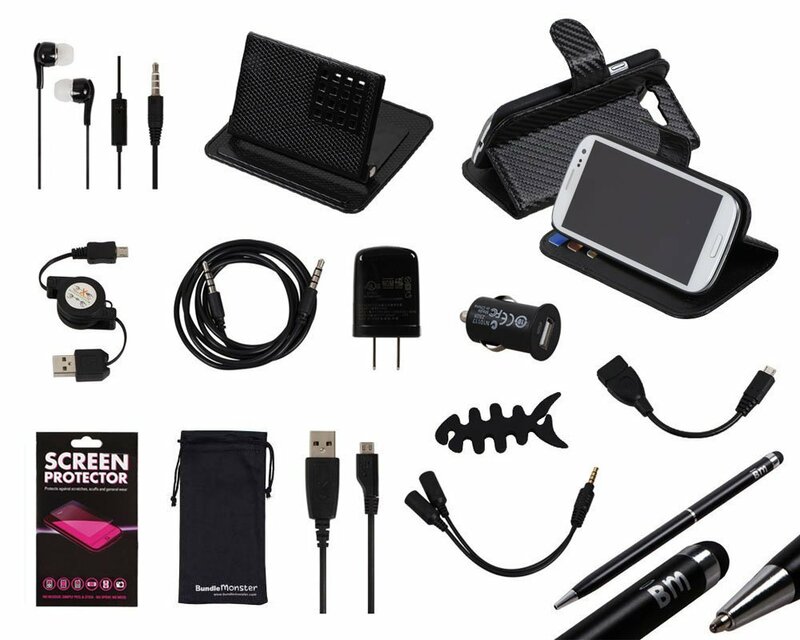 Check out the range at Gizoo, which includes chargers that are compatible with most devices. There are compact power packs that are small enough to fit in your pocket, and larger models that can top up your battery again and again. Anyone with a smartphone and a car needs a window mount. These accessories keep your device safely away from hands, so you’re not tempted to answer texts or check emails unsafely. They’re also indispensable when using your handset’s built-in sat nav.